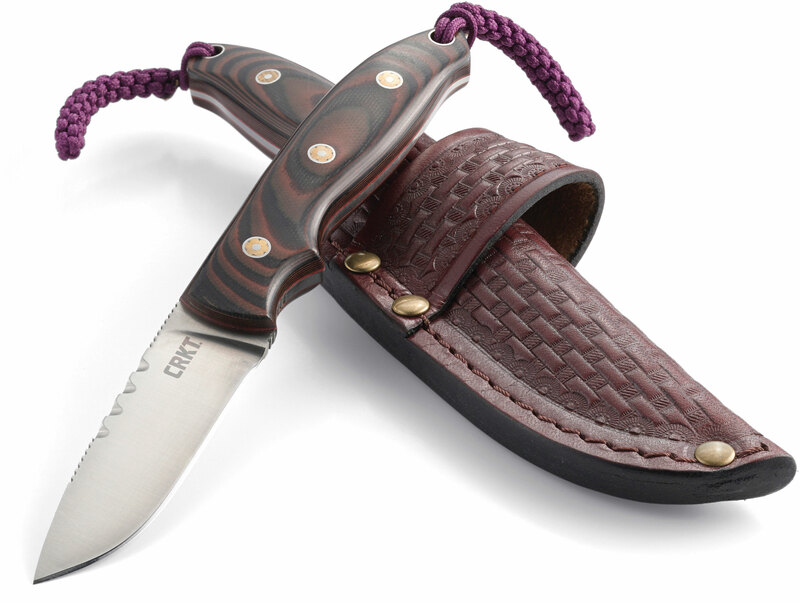 The Hunt'N Fisch is a small hunting knife with special features that make it a go-to fixed blade for many outdoorsmen. 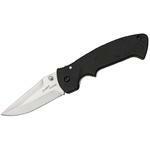 The 2.99" blade is made from 8Cr13MoV stainless steel with a satin finish and flat ground drop point shape. Designer Larry Fischer knows the importance of a good grip, especially on a skinning knife, so he put multiple runs of jimping all over this blade to ensure a good grip, even when wet. 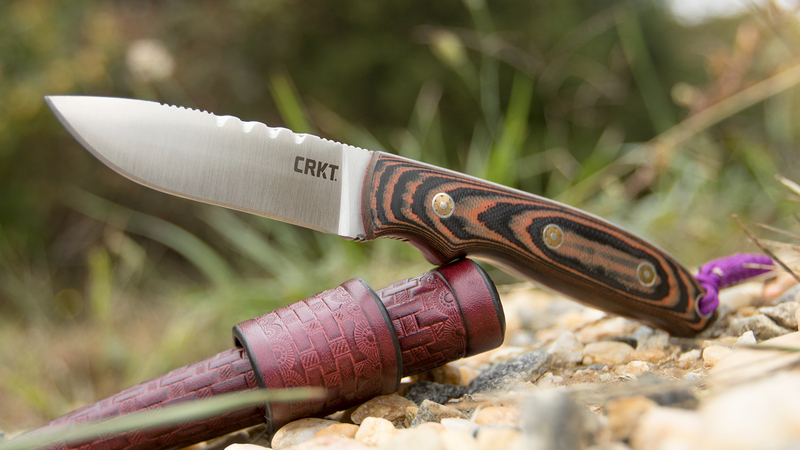 The handle is 4.26", made from brown and black layered G10 so this knife can be drenched in blood or caked in mud and then cleaned off with water, without any fear of damaging the design. 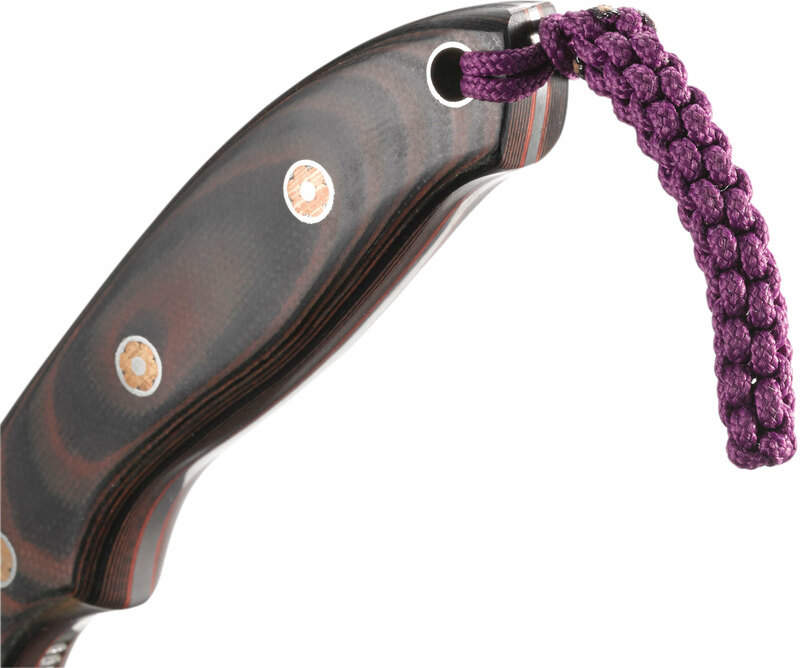 Comes with a great drop-in leather sheath and purple braided lanyard. 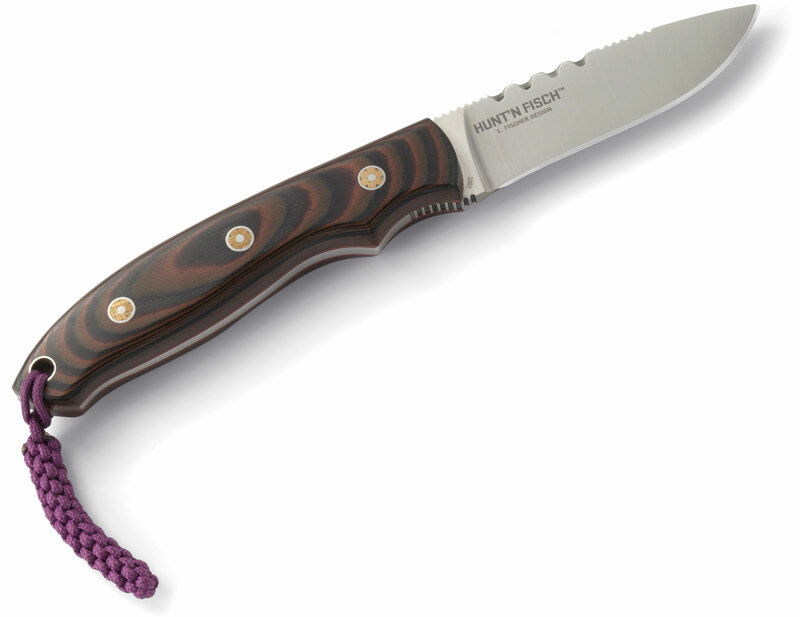 This Larry Fischer-designed fixed blade hunting knife has multiple friction grooves along the spine for optimum blade control and a stylish, multi-colored G10 handle, with exceptional fit and finish. Together they serve one purpose: to get every ounce of dinner off your game. 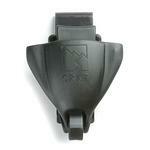 With the included high-quality sheath, you'll be ready for deer that aren't expecting you. The late Larry Fischer was an avid traditional bowhunter, outdoorsman and conservationist from Boise, Idaho, and he brought everything he learned over the years to his inaugural knife, the Hunt'N Fisch. It's a knife from a no-nonsense designer who knew a thing or two about what works in the field. 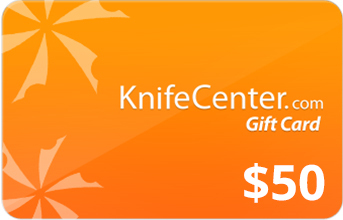 The fixed blade flows seamlessly from tip to handle, and multiple friction grooves along the spine help this knife perform effortlessly in the field when doing any skinning detail work or cleaning even the messiest game. Once it's clean you'll notice just how much detail went into this knife. A unique hand-finished G10 handle features an attractive multi-colored pattern, and stylish red mosaic pins securely hold the handle to the tang of the blade. 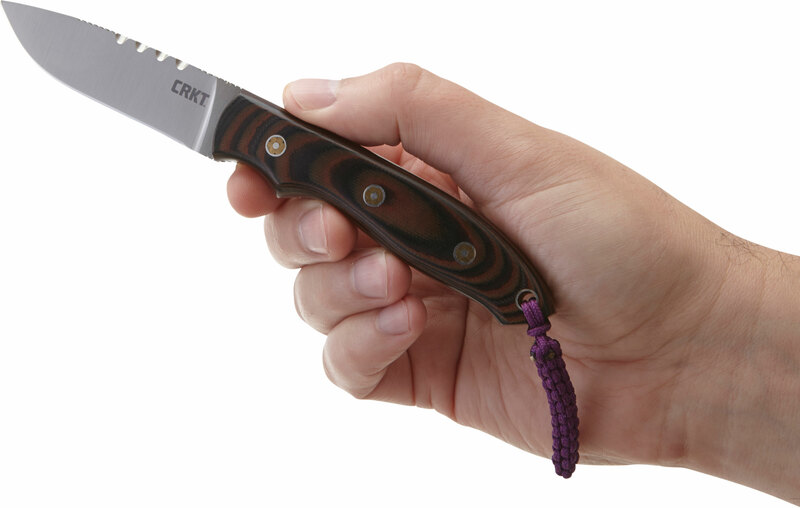 It's a knife that's big on style, even when handling trophy-sized bucks. 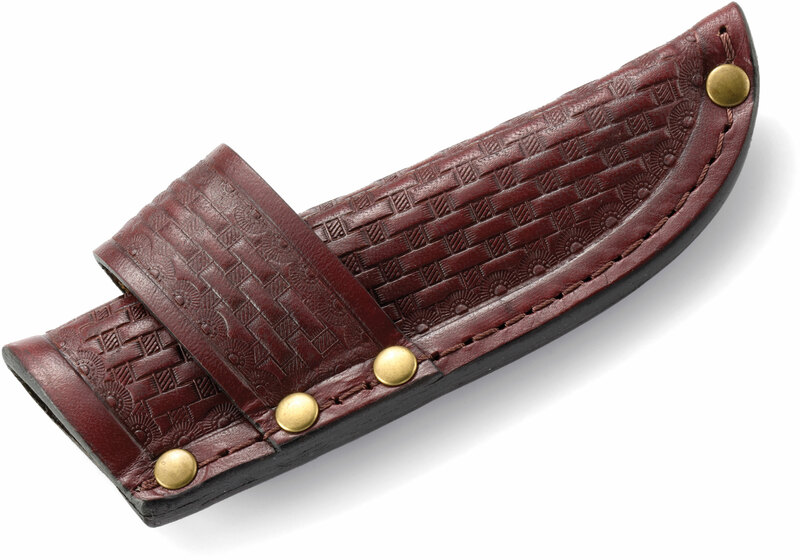 The Hunt'N Fisch comes with a high-quality, versatile leather sheath that protects the blade no matter where you take it, and provides hunters with either a left or right hand-carry option. 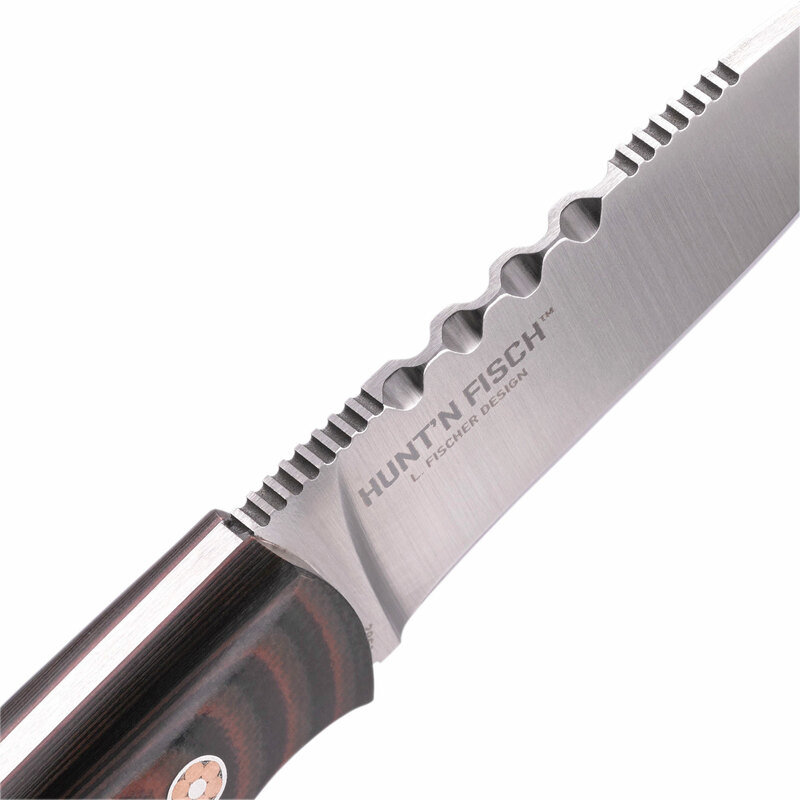 If you're looking for a knife that will turn heads—when it's not turning your trophy into dinner—the Hunt'N Fisch is the one to grab. 100% of the net profits of this knife go to the Pancreatic Cancer Action Network in memory of Larry Fischer. Leave less meat in the field, put more in your freezer. Purchased this knife based on the reviews and they were spot on. I needed a small knife that will dress game, do light work around camp and woods and not get in the way when not needed. Sharp out of the box, balanced and well put together. Sheath is different, but well made, and I will give it a chance to teach an old dog new tricks. Took the Hunt'N Fisch fishing. The other day, took the kids out for their first fishing expedition of the season (just to the local lake-but to kids, THAT is an expedition!) & took along the Hunt'N Fisch for its first outing, too. You know that with a group of kids, I was running around getting this snag unsnagged, this line bird nest un-nested, clearing brush to make their fishing spot more snag free, etc. So, they were doing all the fishing! They caught a couple of 2 pound bass, which were a lotta fun to watch them bring them in. We took photos of them and released them. They also caught a several panfish, of which I kept three. At the end, before we left, I used the Hunt'N Fisch to scale & clean those panfish and we fried them up right there, on one of those small grills mounted on a post at the picnic area by the lake. I brought a cast iron skillet, a plastic bag with a flour/cornmeal/spice mix to coat the fish & a small plastic squeeze bottle with cooking oil & we cooked them fresh out of the water. Each child got one small panfish to eat, and they have been bugging me ever since to please, please, PUL-EESE take us fishing again! The Hunt'N Fisch worked like a charm - was plenty sharp, fit the hand well - even when wet & covered in fish. I had taken the as-supplied lanyard off because I did not want to get the pretty purple one all covered with fish juice. Will maybe see if I can get a paracord one through the tiny lanyard hole later on. 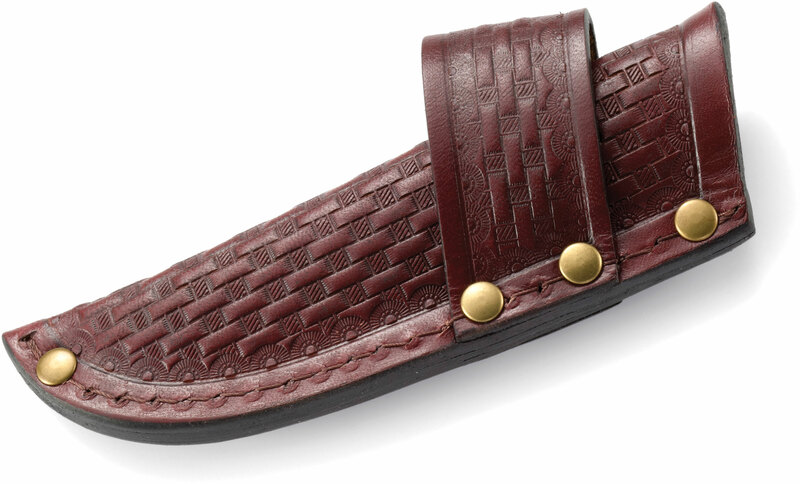 I am not used to carrying a knife horizontally on the belt - will have to get back to you as to whether I think that is a Pro or a Con (need to use it some more before I make that judgment). Otherwise, it is a great spending the day in the woods knife. It is built strong enough that I bet that I will be passing it down to one of those young fisherfolks - maybe I better get two more! I recommend this knife! 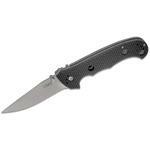 Hey, I wanted to share "Columbia River CRKT 2861 Larry Fischer Hunt'N Fisch Fixed 2.99 inch Drop Point Plain Blade, G10 Handle, Leather Sheath" with you from KnifeCenter.